The redevelopment of the Jordan Lofts in the South End is in its final phase with interior finishing wrapping up for the penthouse units. The Holland Companies tells BLDUP Penthouse A should be complete for May 1st with Penthouse B, already sold, completed earlier this month. The historic building along Harrison Avenue was first constructed by Jordan Marsh and Company in 1910 to satisfy the company's transportation requirements as an industrial stable, taking care of the many horses utilized in carrying products to and from its stores. The new luxury residential units offer amenities such as on-site garage parking, concierge service, and exterior balconies. 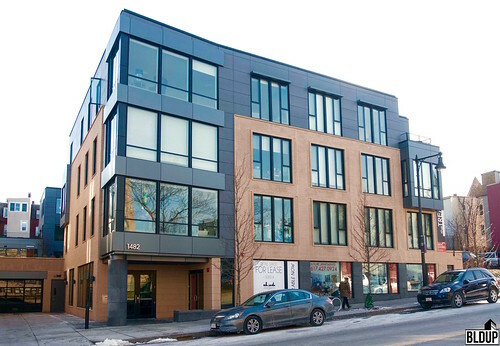 Install of black frame windows, that support the project's high-end design, is complete at The Factory at 46 Wareham in the South End. The project's developer, The Holland Companies, tells BLDUP construction is in its middle phase. 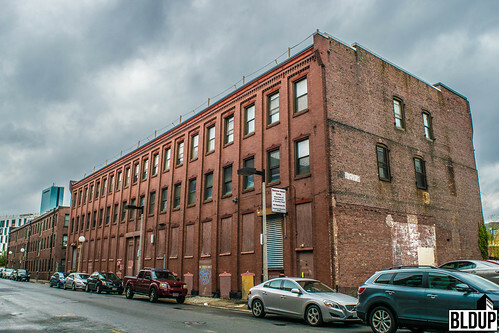 The Factory at 46 Wareham will restore the facade of an existing historic industrial building and construct a new addition to create 18 luxury condos and around 32,000 square feet of office space. 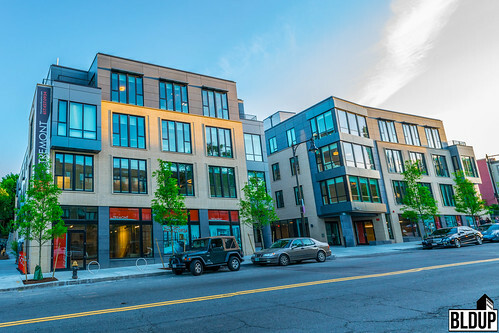 The Hamilton Company is wrapping up interior finishing for the 44 rental units along Camden Street in Boston's South End. The new building is an expansion of the existing Douglass Park Apartments and residents will have access to the community's gated courtyard and fitness center. New units will range in size from 1 through three bedrooms. 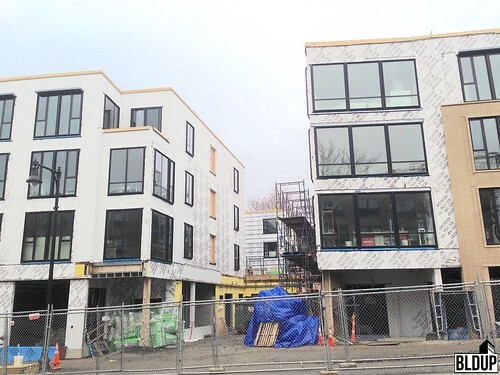 Construction is ongoing with windows in place and exterior work moving forward for Phase One of Packard Crossing in Allston. This first phase of the project will include 38 rental units between the new construction building and the renovated Victorian house on the site. 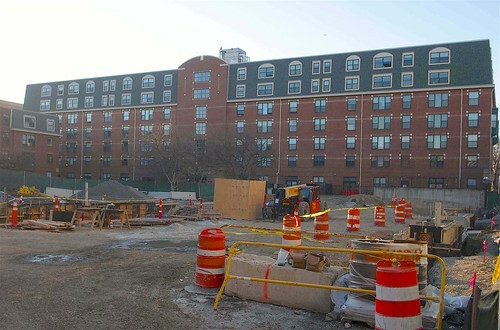 The second phase of Packard Crossing will construct a second new building at 45-55 Brighton Avenue containing 76 residential units and 3,050 square feet of ground-floor retail. 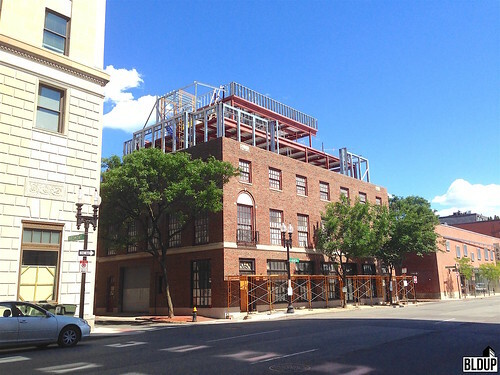 Construction is ongoing for the renovation of the existing puddingstone row houses at 1472-1474 Tremont Street while framing is rising for the new component of the development at the corner of Tremont & Sewall Streets. The project is set to include 33 rental units and 1,200 square feet of retail. 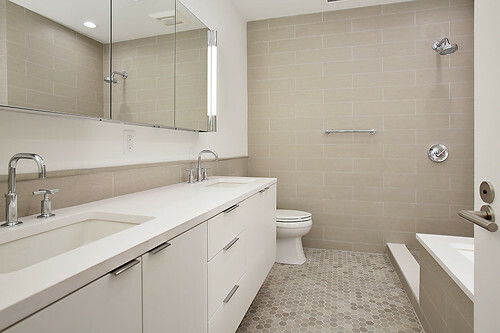 Units will range in size from studios up to four bedrooms. 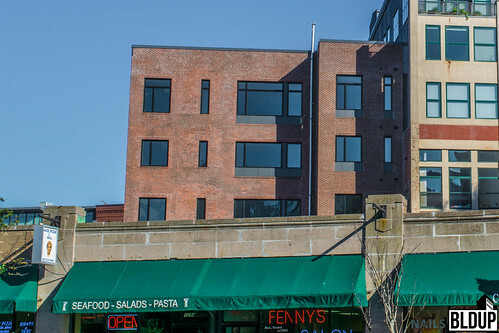 The Tremont Street location offers easy access to the Orange Line. Savage Properties has secured $10.5 million in financing via MountainOne Bank for their development at 1470 Tremont Street. 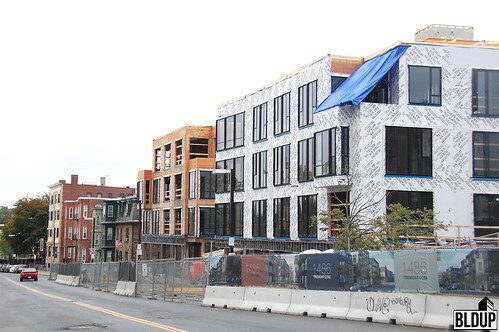 The new five-story residential building along Camden Street in the South End is nearing completion. The Douglass Park expansion will include 44 new residential units. 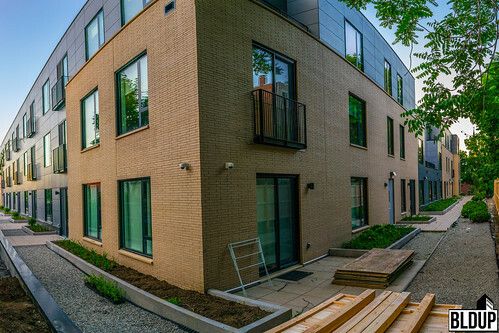 Residents of this new building will have access to Douglass Park's existing fitness center and gated courtyard. The property is located just steps from Northeastern and the MBTA Orange Line. 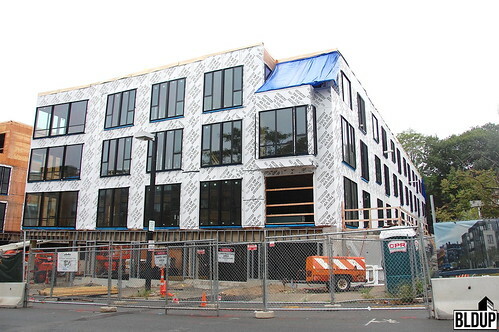 Framing for phase one The Hamilton Company's Packard Crossing development in Allston has reached its fourth floor. The 47,000sf building along Gardner Street will include 38 apartments and incorporate the existing Victorian house on the site. Phase Two of the project will include another 76 units along Brighton Avenue with 3,050 square feet of ground-floor retail. 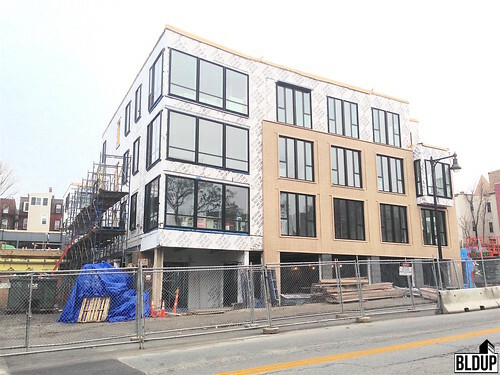 Exterior work is fast progressing for The Factory at 46 Wareham in Boston's South End. The project will feature 18 condominium units along with over 30,000 sf of office space. The developer, The Holland Companies originally planned to restore a portion of the factory that had been on the site however they were forced to demolish that building as there were structural problems. The new six-story building will also allow for a fully automated parking garage in the basement. With expected opening a few months away, construction is ongoing at the Douglass Park expansion on Camden Street. The new building will add 44 units to The Hamilton Company's existing Douglass Park property situated along Columbus Avenue and Tremont Street. 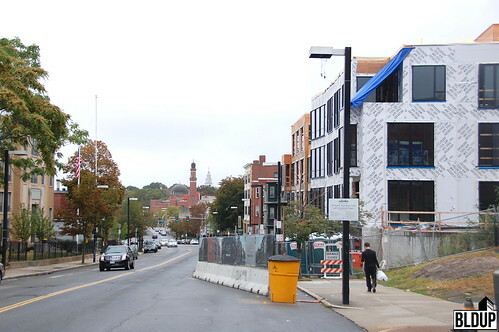 The brick facade of the new building was designed to blend in with the existing property and neighboring South End buildings. Eight units within the new building have been designated as affordable. 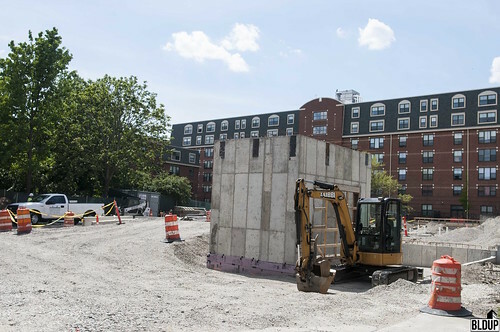 Work continues on the foundation and underground parking at Packard Crossing in Allston. The upcoming four-story building will be integrated to an existing Victorian house on site and contain 38 residential units with 39 underground parking spaces. Construction is set to begin on Phase Two of the project later this year. Once complete the project will include a total of 114 rental residential units and 3,050 square feet of ground-floor retail. Resident amenities will include a landscaped roof deck and a fitness center. 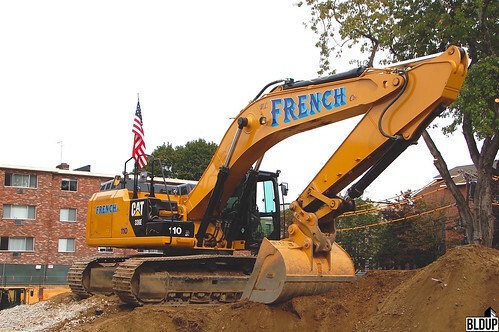 W. L. French Excavating Corporation is hard at work excavating the 39-car underground parking garage of Phase I of the $45 million, 147,438-square-foot Packard Crossing mixed-use development in Brighton. Soil is rapidly being removed from the project site, and soldier piles with lagging have been installed along the sides of the garage to maintain the 12 foot deep excavation. Following completion of the excavation, concrete will be poured in order to construct the Phase I building’s garage and foundation. 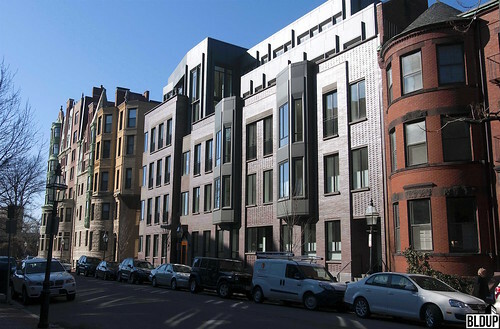 Just two luxury condominium residences remain for sale at Four51 Marlborough, a newly opened boutique luxury condominium building in the Back Bay. Residence West, a two-level, 2,657 square foot maisonette townhouse with four bedrooms and 3.5 bathrooms, is listed for $3.699 million, and Three East, a third floor, 2,740 square foot residence with four bedrooms and 3.5 bathrooms, is listed for $4.399 million. At last night's board meeting, the Boston Redevelopment Authority (BRA) approved Packard Crossing for construction. 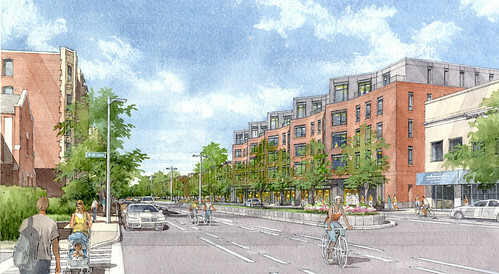 Located in Allston’s Packards Corner steps to the MBTA Green Line, Packard Crossing will contain a total of 114 rental residential units and 3,050 square feet of ground-floor retail across two new buildings constructed over two phases. Construction of Phase One is anticipated to commence in the first quarter of 2017. Additional information about Packard Crossing can be found above. 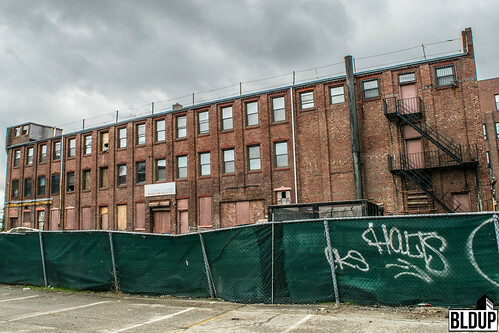 At last night's board meeting, the Boston Redevelopment Authority (BRA) approved changes to the under-construction Factory at 46 Wareham mixed-use building. 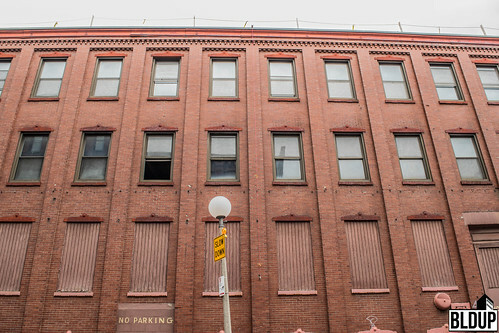 Construction of the project, approved by the BRA in August 2015, was halted following the discovery of foundation deficiencies in the historic factory building; The Factory at 46 Wareham will incorporate the existing facade of a factory building and construct a new addition. Previously approved to exclusively contain office space, The Factory at 46 Wareham will feature 18 residential ownership condominiums and 32,875 square feet of office space following last night’s approval. A new foundation will be constructed, and two existing masonry walls will be rebuilt. Additional information about The Factory at 46 Wareham can be found above. In a Project Notification Form (PNF) submitted to the Boston Redevelopment Authority (BRA) last Friday (July 29th, 2016), developer The Hamilton Company released renderings and details for the proposed 147,438 square foot Packard Crossing mixed-use development project in Allston’s Packards Corner; the following is a link to the PNF. A Letter of Intent (LOI) for the project was submitted to the BRA on June 24th, 2016; the following is a link to the LOI. Additional information about Packard Crossing can be found above. 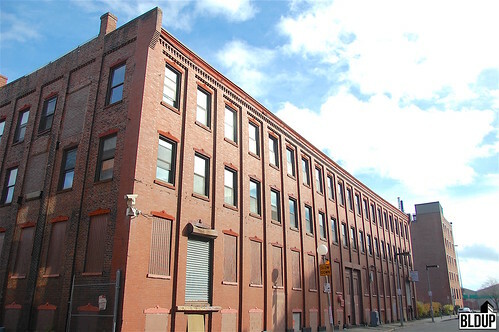 Developer The Holland Companies has submitted a Notice of Project Change (NPC) to the Boston Redevelopment Authority (BRA) for The Factory at 46 Wareham, a new six-story building under construction in Boston's South End that will incorporate an existing historic factory building. The new 64,530 square foot building, previously proposed to contain only office space, would now contain 18 residential ownership condominiums and 32,875 square feet of office space. 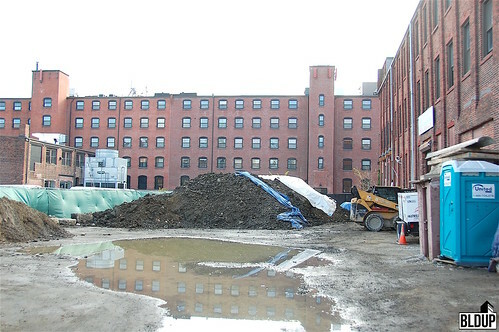 The construction team began construction of The Factory at 46 Wareham recently but discovered that the existing factory building's foundation was in worse condition than originally anticipated. Accordingly, a new foundation would now be constructed and two existing masonry walls would be rebuilt. Given the increased construction cost and delay in commercial tenant occupancy, The Holland Companies has decided to reintroduce the project's residential component. 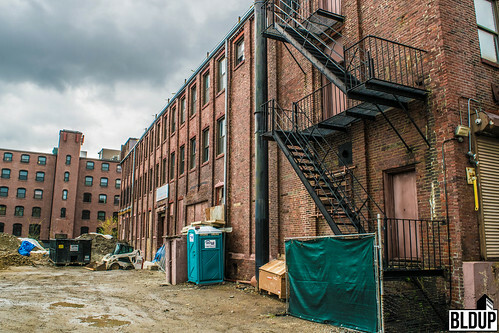 As originally approved in April 2015, The Factory at 46 Wareham was to contain 15 rental residential units and 45,570 square feet of office space. 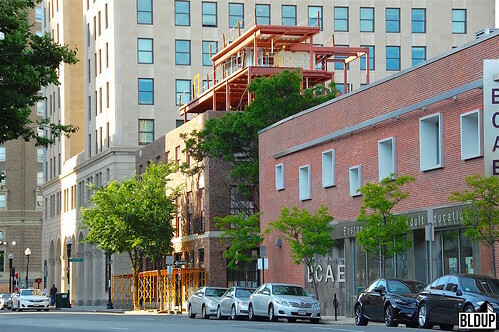 A Notice of Project Change approved in August 2015 eliminated the residential component in favor of constructing an office building. The most recent Notice of Project Change proposing to construct 18 residential ownership condominiums and 32,875 square feet of office space is now subject to Boston Redevelopment Authority review for approval. More information about The Factory at 46 Wareham is posted below. 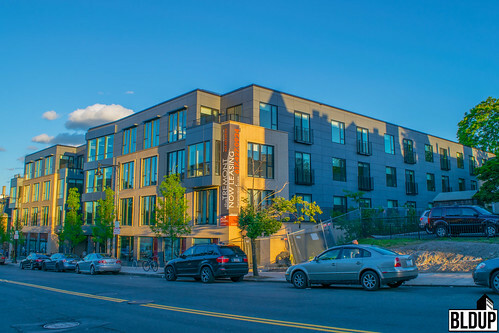 The Boston Business Journal reports that The Hamilton Company has filed a Letter of Intent with the Boston Redevelopment Authority to construct Packard Crossing, a proposed two-building mixed-use development project including approximately 114 rental residential apartments in addition to street level retail, at 45-55 Brighton Avenue in Allston. Project architect Hacin + Associates reports that a new six-story building containing 75+ apartments would front Brighton Avenue, replacing an existing single-story retail building home to an AutoZone auto repair shop. A second four-story building containing 35+ apartments would front Gardner Street. An existing historic Victorian home on site would be restored and incorporated into the lobby of the Gardner Street building. 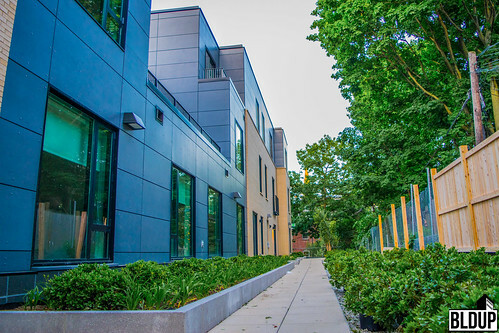 The Boston Globe reports that apartments at Packard Crossing would be primarily two-bedrooms and that rents would be "well below downtown prices." The development team anticipates to start construction of the Gardner Street building in 2018, with the Brighton Avenue building to follow. A total of approximately 215 parking spaces would be located on site. Universal Hub reports that approximately 114 parking spaces would be reserved for apartment tenants. The remaining parking spaces would be used for the new retail space at Packard Crossing and by employees at The Hamilton Company's nearby offices. 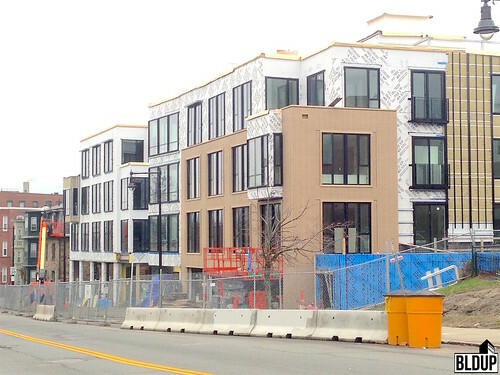 Finishing touches are underway at The Tremont, new-construction residential apartments now leasing in Mission Hill. Both interior and exterior finishes are fully installed. With completion of site work, landscaping is underway. 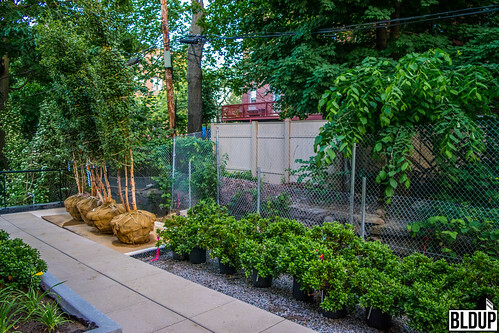 The construction team is installing burlapped trees and small shrubs surrounding The Tremont. More information about The Tremont is posted below. Preliminary surveying of the existing structure at The Factory at 46 Wareham has begun. 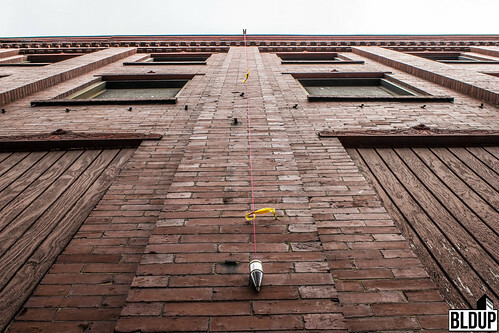 A plumb bob is hanging from the existing structure’s roof to survey the site and determine a reference point for construction plan implementation. A safety perimeter is also installed on the roof. A bobcat skid loader is on site to commence excavation and foundation construction. 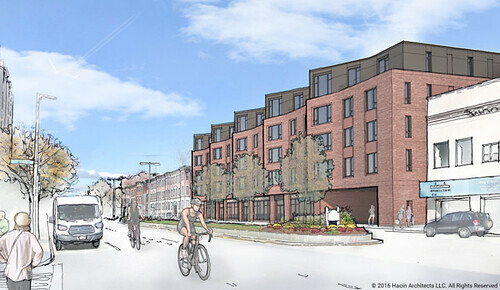 A rendering of The Factory at 46 Wareham is posted above. More information about The Factory at 46 Wareham is posted below. 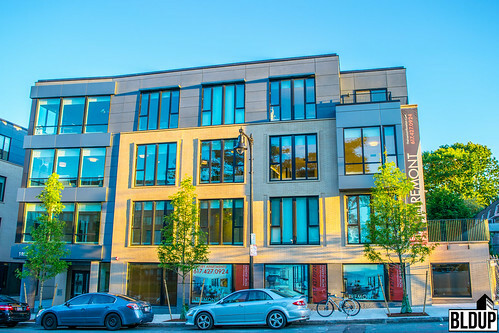 Universal Hub reports that The Hamilton Company presented plans to the Brighton Allston Improvement Association this month to construct 114 new residential apartments at 45-55 Brighton Avenue in Allston. The existing AutoZone facility at 45-55 Brighton Avenue would be demolished. Two new buildings would constructed, and an existing victorian house at 75 Gardner Street would be incorporated into the design. New street-level retail space would be built along Brighton Avenue. The Boston Redevelopment Authority approved 1470 Tremont Street for construction at last night's board meeting. 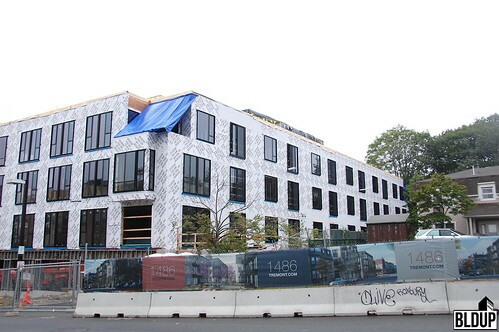 Located in Mission Hill, 1470 Tremont Street will contain 33 residential apartments and a 1,480 square foot high-ceilinged ground-floor retail space. Construction of 1470 Tremont Street could start in the third quarter of 2016. Renderings of 1470 Tremont Street are posted above. More information about 1470 Tremont Street is posted below. New windows have been installed at The Residences at Hooper Mansion. Work continues on the building's interior spaces, which will feature light-filled open floor plans and top-quality finishes. Units will feature views of the Boston skyline and Charles River Esplanade. 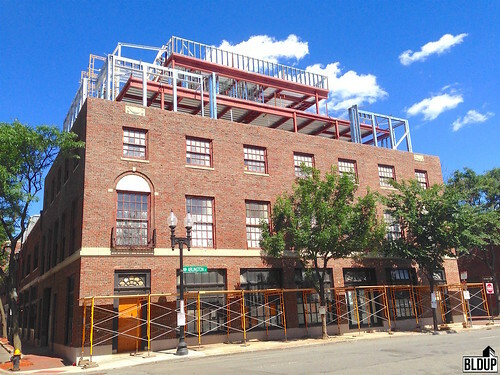 The Residences at Hooper Mansion will have a common roof deck overlooking the Charles River. The Boston Redevelopment Authority approved the Douglass Park Expansion Project for construction at last night's board meeting. Seaport Pavilion is now open to the public. The result is a wide outdoor space well suited for public enjoyment. Seaport Pavilion features breathtaking views of Boston Harbor out to the East Boston Waterfront. We are looking forward to Seaport Pavilion's full completion once the Northern Avenue Straightening project is complete. A new photograph of Seaport Pavilion is posted above. 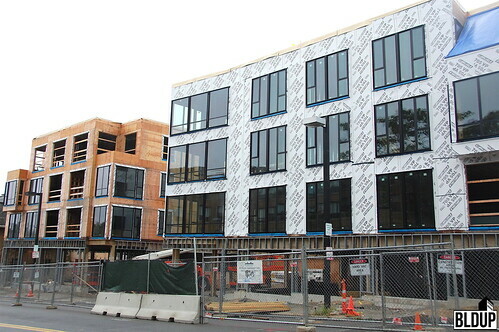 Installation of finishes is nearly complete at Four51 Marlborough. This distinctive building will feature eight luxury condominiums with outdoor spaces and abundant natural light. Four51 Marlbrough's design is impressively detailed with a captivating facade comprised of limestone and red brick. In addition to the proposed affordable units in the new building, two additional units have been set aside in the existing adjacent Douglass Park building; one 1-bedroom unit and one two-bedroom unit would be designated affordable. 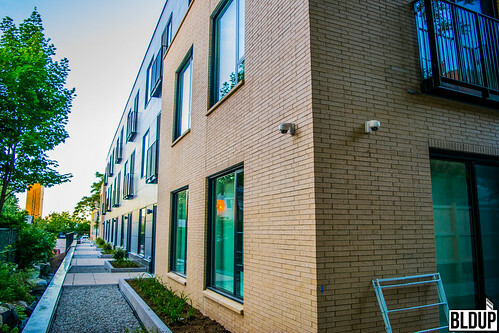 The addition of affordable units to the existing Douglass Park building combined with the six units set aside in the new building would raise the percentage of total affordable units in the full Douglass Park complex to 25%. Per community request, a property management company would be located on-site upon completion of the project. A number of questions were also raised regarding the impact of the new Douglass Park units to parking availability. 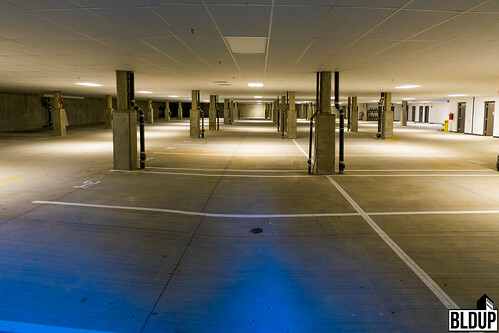 The existing Douglass Park garage contains 147 parking spaces, 29 of which are either owned by Douglass Park condominium owners or leased out. Under current conditions, 118 parking spaces are currently available. No new parking would be added with the Douglass Park Expansion Project; assuming current conditions, 118 parking spaces would be available to a future total of 166 units at Douglass Park. The new Douglass Park Green outdoor space would be made available on a controlled basis to the community during the day and through planned neighborhood events. The developer and project manager have not finalized how programming and access would be controlled at this point. 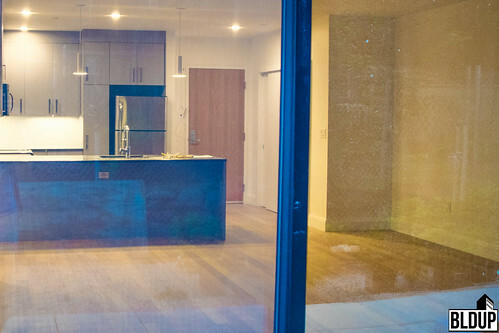 The developer and architects have gone above and beyond the standard Small Project Review process by holding three public meetings and completing additional shadow studies not required for small project review. The team has worked to ensure the proposed project fits into the context of the surrounding South End and Roxbury neighborhoods. The Douglass Park Expansion Project may go before the Boston Redevelopment Authority Board for review on March 17th, 2016. The official board meeting agenda will be published shortly in advance of the meeting. The Hamilton Company bought the Douglass Park site, including the undeveloped lot on which the Douglass Park Expansion Project would be built, in 2013 for $52 million. 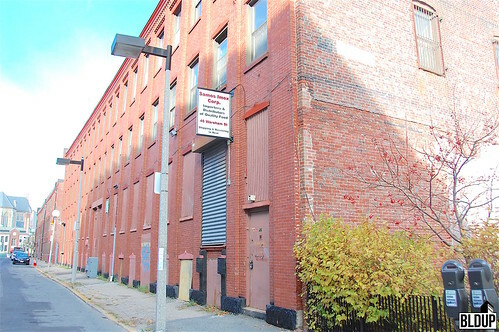 Developer Savage Properties has filed a Small Project Review Application with the Boston Redevelopment Authority to construct a 35,837 square foot mixed-use development at 1470 Tremont Street in Mission Hill. Savage Properties is also developing 1486 Tremont Street next door and 1467 Tremont Street across Tremont Street. Savage Properties hopes to start construction at 1470 Tremont Street in the third quarter of 2016. 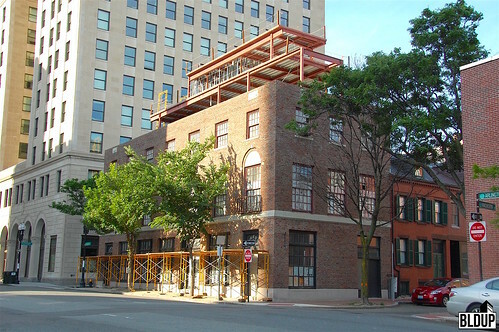 Start of construction at 1467 Tremont Street is anticipated in April 2016. 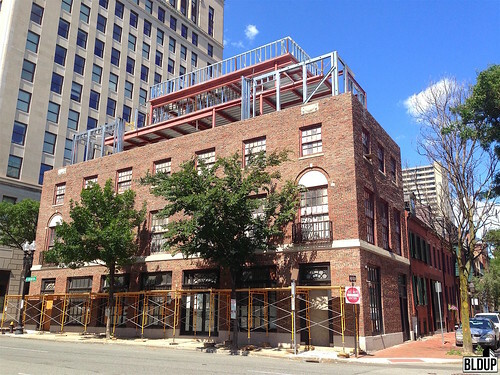 Completion of 1486 Tremont Street is also expected in April 2016. 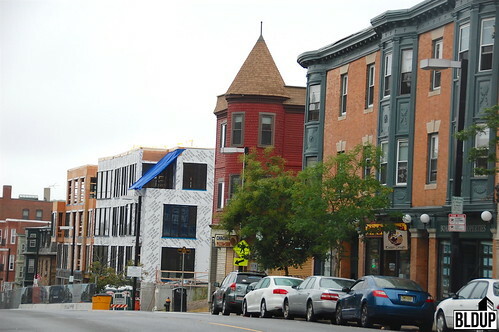 Savage Properties began construction this month of a new project in Mission Hill at 40 Fisher Avenue. 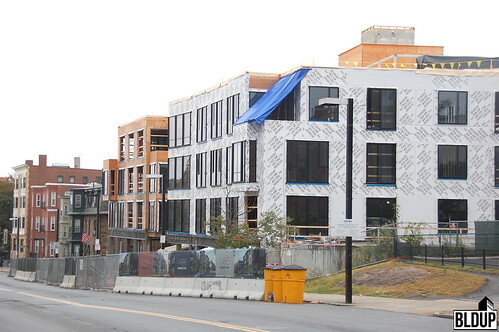 Exterior brick finishes have been installed along much of The Tremont's facade, and installation of windows is complete. Fireproofing is just about fully installed. 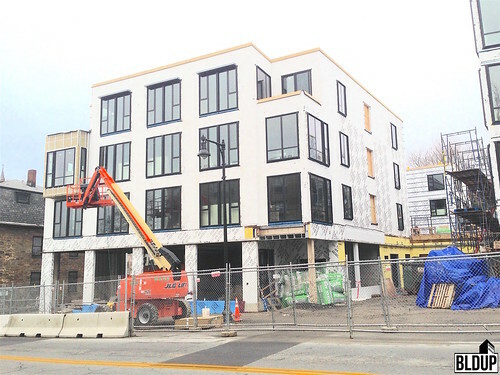 Windows have been almost fully installed at The Tremont in Mission Hill. Installation of fireproofing and sheathing along the exterior facade is off to a strong start. Construction is about to start on The Factory at 46 Wareham! Holland Construction has parked a namesake Bobcat vehicle on site, and construction fencing has been installed in addition to other equipment. We are excited to watch the impending dramatic transformation of a gorgeous, underutilized factory building into an active commercial building designed by Hacin + Associates.